Do you remember the times when your grandma used to tell you stories? Your eyes and ears focus to grandma and nothing else. You’ll watch this movie in the same manner. This movie isn’t a narration but it’s still a Kahaani. Vidya Bagchi is working for a software security company in London. Her husband Arnab Bagchi, working for NDC in Kolkatta, Suddenly stopped calling her. She comes to India to find out the reason for his disappearance. As the cops turn out to be unhelpful, she investigates on her own with a helping hand in form of a newly joined police officer, Rana. Things get complicated and the mystery around the disappearance of her husband darkens. She becomes target of unknown elements and her life comes into danger. Will Vidya survive through the unfolding mystery? Will she find her husband? Watch the movie to find out. 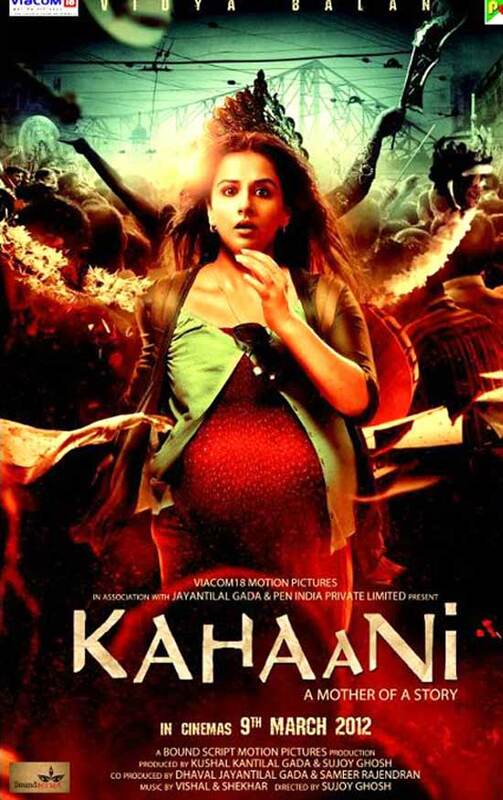 First of all, Hats off to Vidya Balan for playing the role of pregnant woman. She is flawless and effortless in this role. She is the life of the movie and carries the whole movie easily on her shoulders. She reminds me of Late Smita Patil. At the moment there is no actress who even comes close to her when it comes to acting. Since the whole movie is focused on Vidya Balan, the rest of the cast gets very little. Special mention for Paramrata Chatterjee for portraying Rana. He has a freshness on his face and throughout the movie you feel that this role is written for him. The rest of the cast, as I said earlier, has little scope but they support Vidya Balan throughout. The story of this movie is very clever and different from the regular masala flicks. Starts with a moderate pace and slows down a little after interval. But the climax is just mind blowing. There is a scene where Milan Damji, Arnab’s look alike, kicks Vidya in her stomach. I was quite shocked by this move. But what happened next was jaw dropping. The screenplay totally justifies the story. Humor has been sprinkled but not very often. There is a contract killer in this movie. You actually laugh when he murders someone. Dialogs are a mix of Bengali and Hindi. That doesn’t make this film Bengali. There are no catchy lines or something that will glue to your memory. Cameraman has done brilliant job. The crowded city of Kolkatta, the darkness of the city, Joy of Durga Pooja are treat to watch. Brilliant and engaging story, Powerful performance of Vidya Balan, Over the top climax, Top notch direction. Kahaani shouldn’t be missed. My rating 9/10. It was one of those days when I was just staring at the computer screen. I had nothing to do. Totally jobless. Broadband had arrived just three months back. Most of my browsing was done during night hours due to the bandwidth cap. I clicked a random link out of the boredom. It was a warez blog with a great design. The bottom of the blog read ‘Powered by WordPress’. Clicking on the link introduced me to the world of blogging. Now I wanted a blog. I wanted to blog. Why not? Everyone had a blog. There were blogs written by dogs and cats, supposedly. I already had the nonsense idea in my mind. The question was where to host? One of the perks of being a moderator or web hosting forum, you get free web-space. Thanks to the admin who set it up for me. I got everything I wanted to start a blog. Four years ago, The very day I published my first post on the blog. I didn’t care about the language. Not about the content and not about who will read it. I just wanted to write. After a while, It got popular. I was overwhelmed by the appreciation. I even earned from blogging. Over the years, The frequency of posts dried up. I didn’t even try to allocate time to blogging. And when I tried to write something, I was blank. That screen was punching me and I was taking blows standing.. Sorry. Sitting, Like a boxer out of practice. But today I decided to face it. This post is a result of that. When I started this blog, I wanted one and I wanted to blog. Now I want to blog more. I want to write more. Lets see how much punching I can handle. 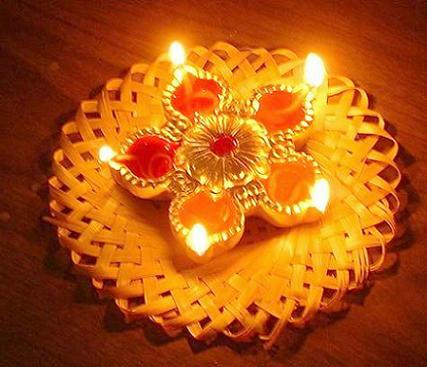 Wishing everyone a happy and prosperous Diwali.